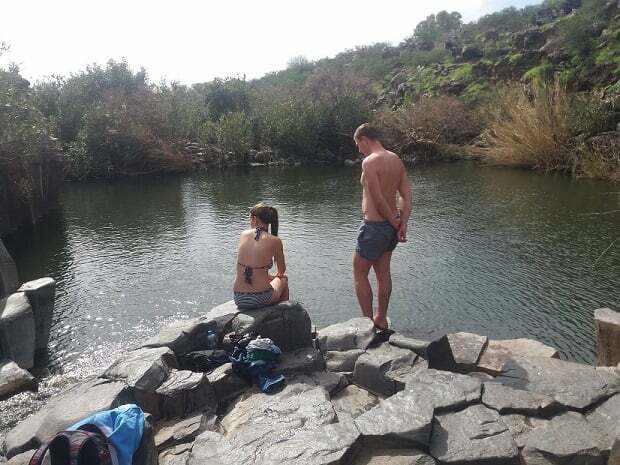 It is possible to travel on a budget in Israel, and since Israel is such an expensive destination, it’s not just impoverished students who might be interested in money-saving tips. 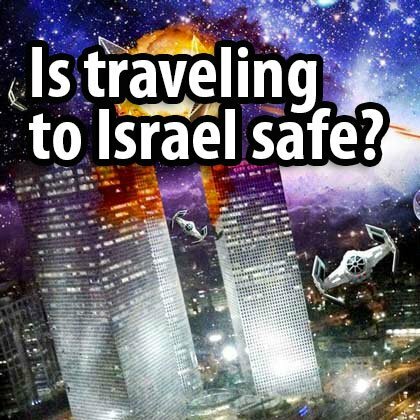 Before people come to Israel, they are often concerned about safety, but once they arrive they understand that the biggest problem in Israel is the high prices. 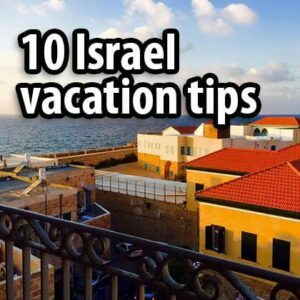 You can start saving when booking your trip to Israel. Flights and hotels are much more highly priced during the holidays. 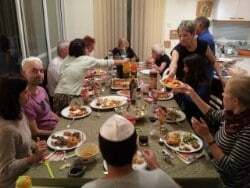 You may well know that, but what people often don’t appreciate is that in Israel there are other holidays: Jewish holidays. In this post you can see exactly when they are and what to expect. 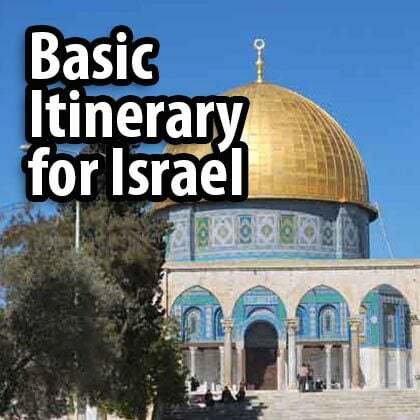 It’s interesting being in Israel for Yom Kippur or Pesach, but if you do want to holiday then, you’ll need to book well in advance. 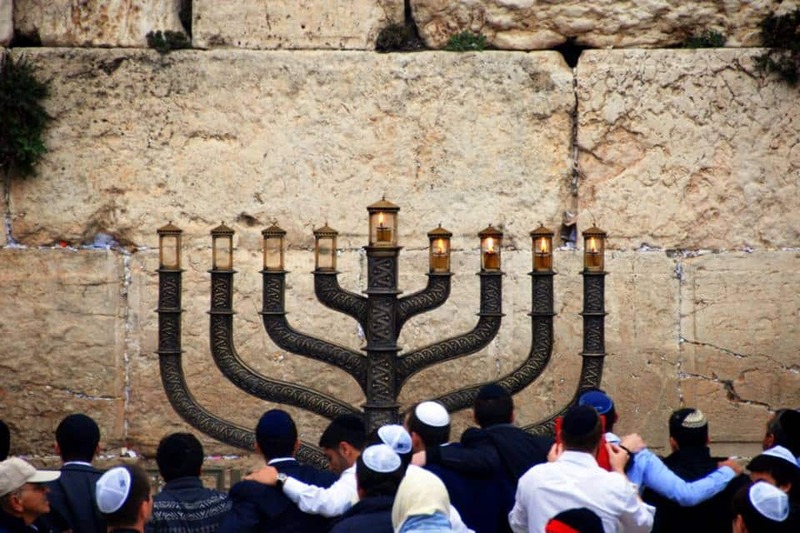 Chanukah, the Jewish festival of lights. Usually occurs around Christmastime (but has nothing to do with Christmas). 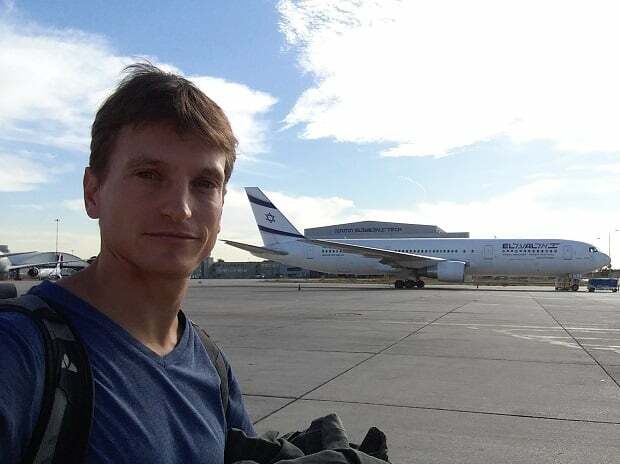 In the middle of 2018, a new airport is due to open in the south of Israel, north of Eilat. It will be called Ramon (and the airport code will be ETM) and will be used by low-cost airlines like Ryanair. 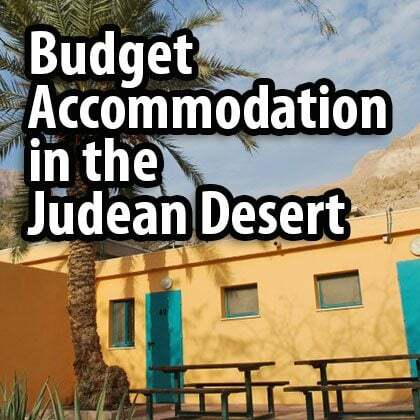 If you’re planning a desert vacation to Negev or the Judaean Desert (Dead Sea and Masada) or if prices are significantly cheaper, then it may be worth considering flying here instead. 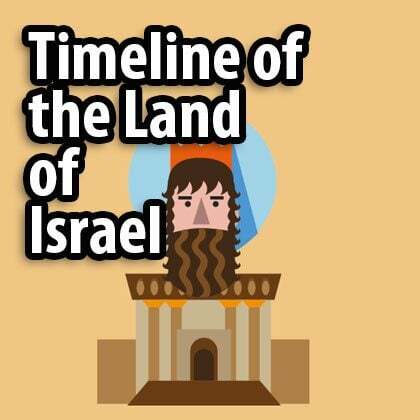 It will take you about four hours to get to Jerusalem. 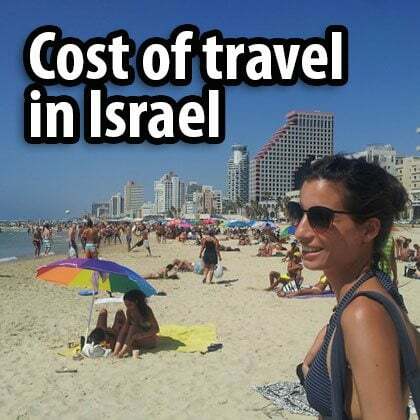 By far the biggest expense is accommodation, and hotels in Israel are on the expensive side: you can expect prices comparable with London and New York. The good news is that there is something you can do about it. 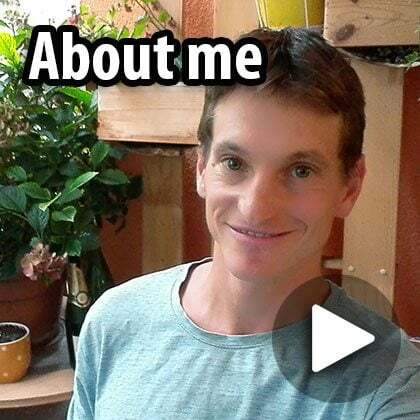 The cheapest option is to try couchsurfing, which involves sleeping as a guest in a local home, while a second affordable option is to stay in hostels. 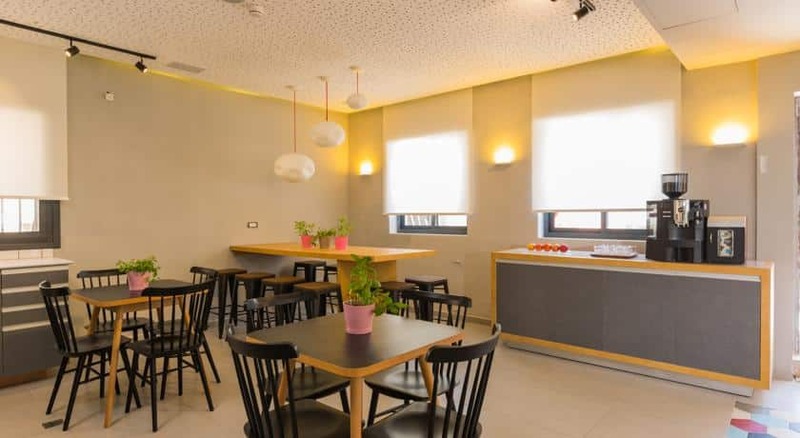 I often talk about hostels in my posts because they are a great alternative to hotels, not only for young travelers but also for families and basically anyone that wants to save on accommodation. Another advantage of sleeping in a hostel is having a kitchen, where you can store food in a fridge and cook for yourself – an option that you don’t have in hotels. 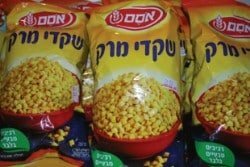 Food products in Israel are very cheap, especially fruit and vegetables, but the prices in restaurants are high and the price of alcohol is ridiculous. 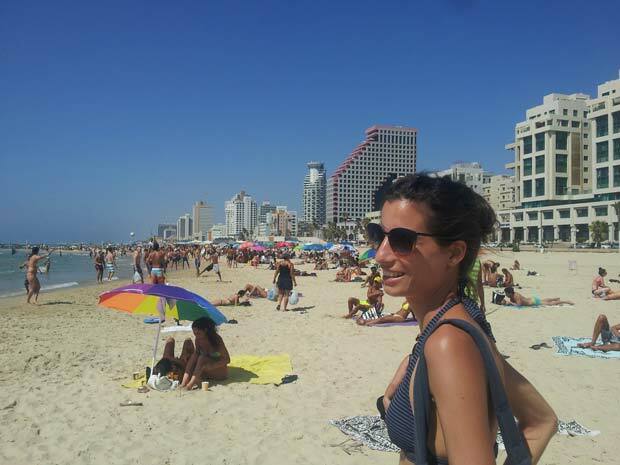 A beer in a pub in Tel Aviv can cost 30 shekels or more, that’s 7-8 euros, or around 9 dollars! So always check the menu before you order. The good news is that you don’t have to eat in restaurants in order to enjoy cheap and tasty local food. Street food in Israel is really good. 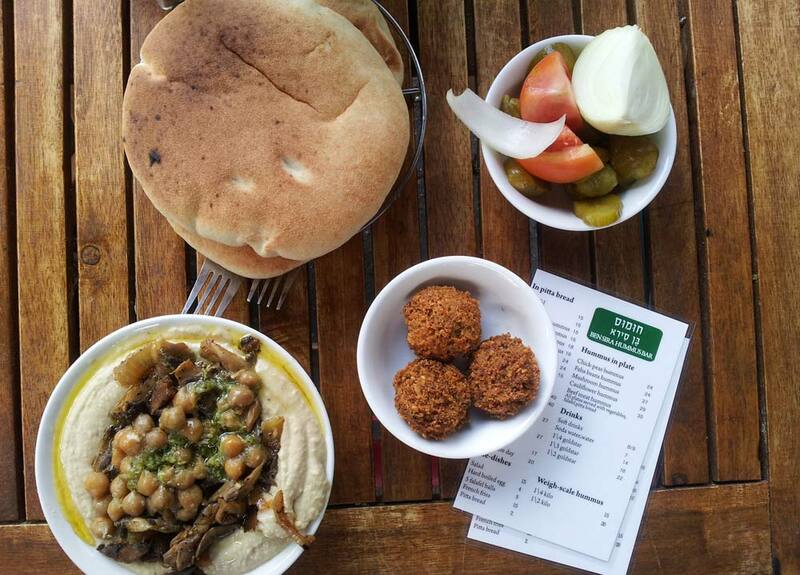 A pita with falafel, sabich, shawarma, or a simple plate of hummus, will fill you up for 7-8 euros. Most of it comes without meat and many dishes are vegan friendly. 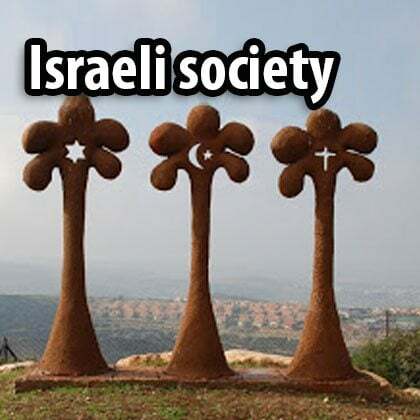 In 2011 there was a wave of social justice protests in Israel, with demonstrators railing against the high price of basic commodities. As a result, there has been a proliferation of café chains like Cofix and Cofizz, that sell coffee and shakes for 5 shekels. You will find them in many of the city centers. You don’t need more than this to be happy in life. Public transportation in Israel is fairly good. 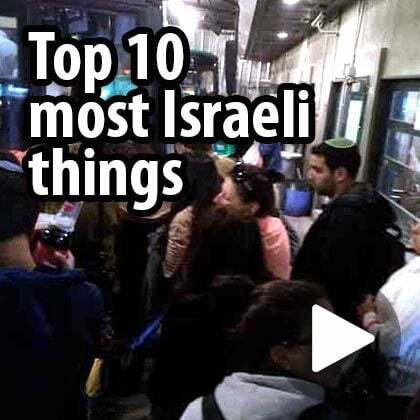 You need to remember that there are no buses and trains from Friday afternoon till Saturday night, and there is rarely sufficient information in English, but you can always ask an Israeli or consult Google maps. Prices are fair and service between the big cities is regular. Buses – the most common means of transportation both in and between cities. 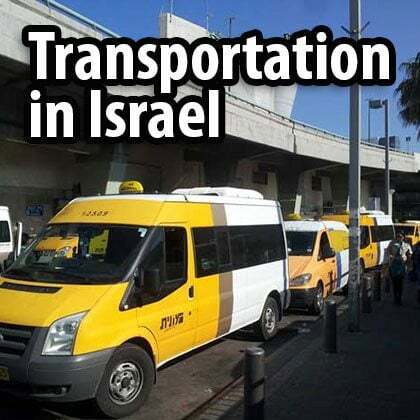 And the only public transportation option if you want to get to Mitzpe Ramon, Eilat, Nazareth, the Negev Desert, the Judaean Desert or the Golan Heights. 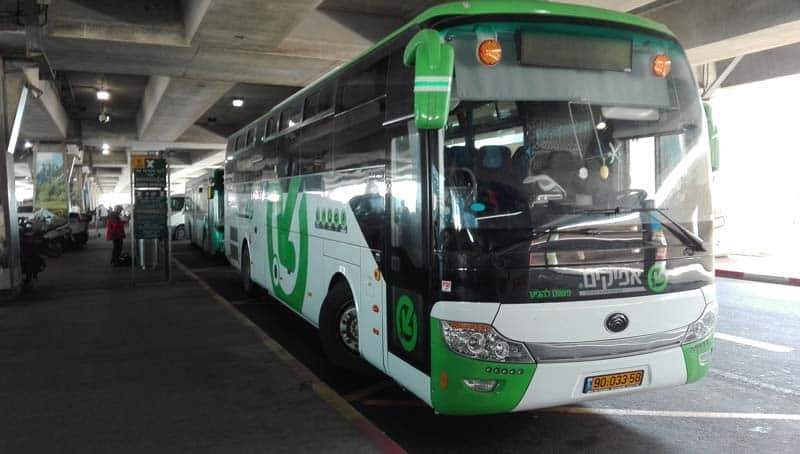 Sherut – large 10-seater minivans that run along the bus routes; prices are the same and you can ask the driver to stop at any point along the route, not just at the bus stations. 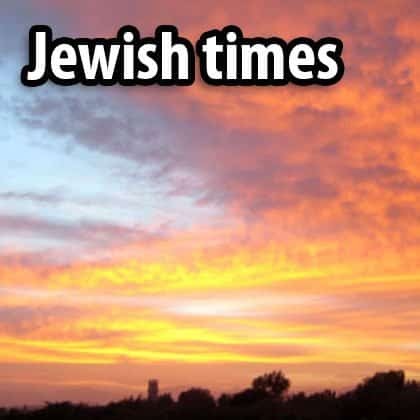 Trains – the train can be a good option between the following places: Ben Gurion Airport, Tel Aviv, Haifa, and Be’er Sheva. 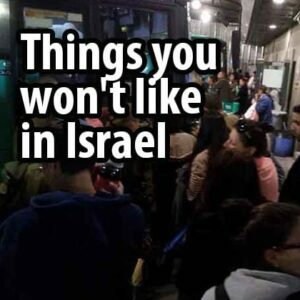 At some point in 2018, a train will also get you to Jerusalem. Bus 485 from Ben Gurion Airport (TLV) to Jerusalem. The taxi drivers won’t tell you where it is. 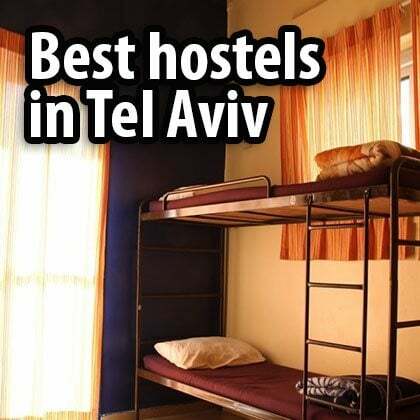 Every hotel, hostel and café offers wi-fi and in Tel Aviv there is free internet access all over the place. 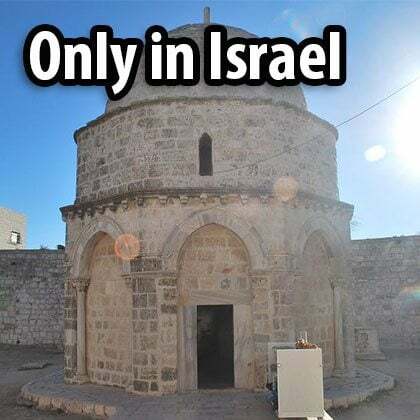 But if you’re coming for more than a week, and especially if you’re going to drive to the Negev Desert or the Golan Heights, you might want to consider buying a local sim card. Using Google maps or Waze to navigate and the internet to find information about places will make your trip much easier. There isn’t a company that I can particularly recommend, as prices and packages change regularly. 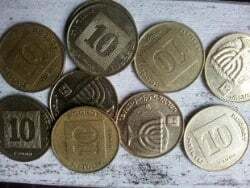 Your best option is to ask at your hostel or hotel, or to head to a shopping center to ask about prices at the different cell phone companies. Jerusalem and Tel Aviv are much smaller than the big cities in Europe or the U.S., so walking from site to site is easy enough, especially since all the hotels and hostels that I recommend are centrally located. Although it seems obvious, I am advocating walking as a means of saving money as the taxi option may actually be best avoided: high numbers of tourists have complained of bad experiences with taxi drivers. The things you can only see when you walk. In the vast majority of shops in Israel there are fixed prices. 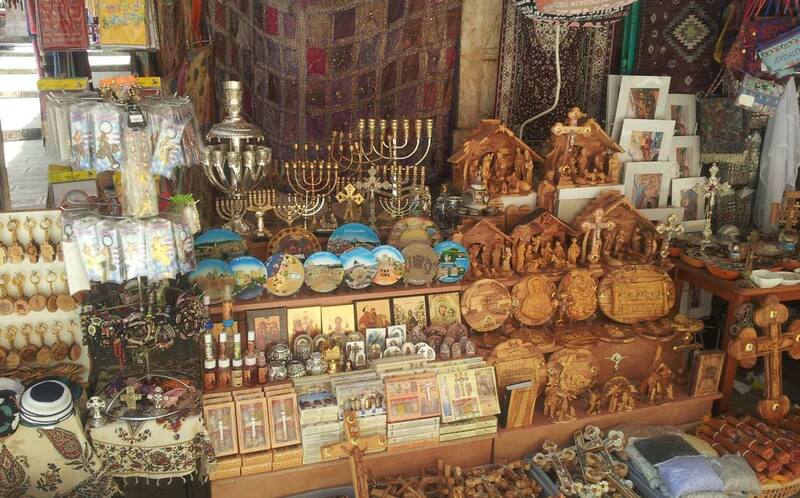 However, in the Old City of Jerusalem, the Jaffa flea market and Carmel Market (note this doesn’t apply to food), you will need to bargain with the owner (if there is no price on it, then the price is determined by your face). Ask for the price but never buy at the first shop, as many shops sell the same goods. The Shuk (market) in the Old City of Jerusalem. Be sure to haggle. 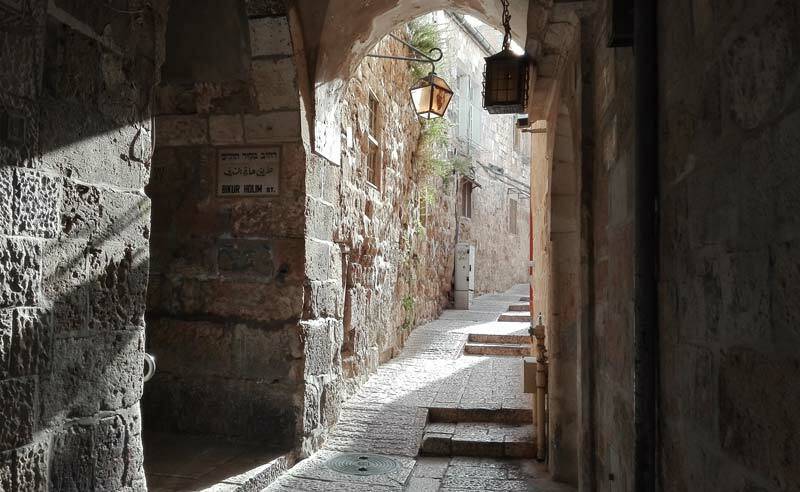 Tours are pretty much a must in Israel, especially in Jerusalem and Tel Aviv. 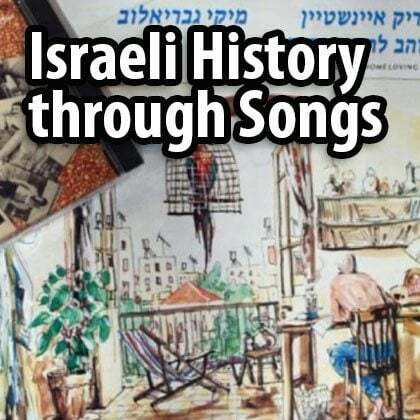 As I write in almost every post, in Israel you need to know the history of the place in order to understand and enjoy the sites. There are a couple of good ways to understand what you’re looking at without resorting to hiring a private guide (which is the best option if you can afford it). 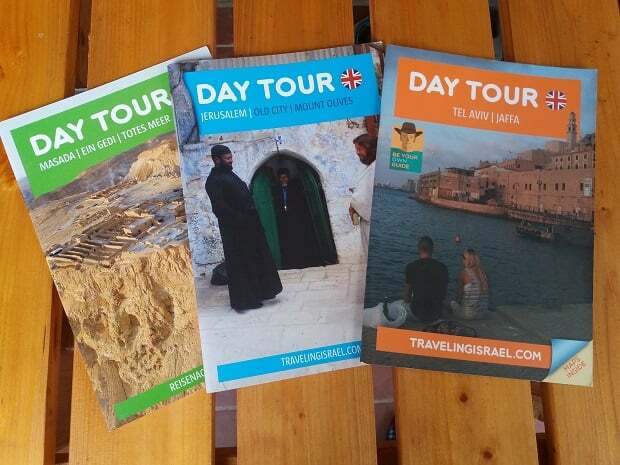 In Jerusalem and Tel Aviv there are some companies that offer decent free group tours. These are 2 to 3-hour walking tours that give a good introduction to the cities. 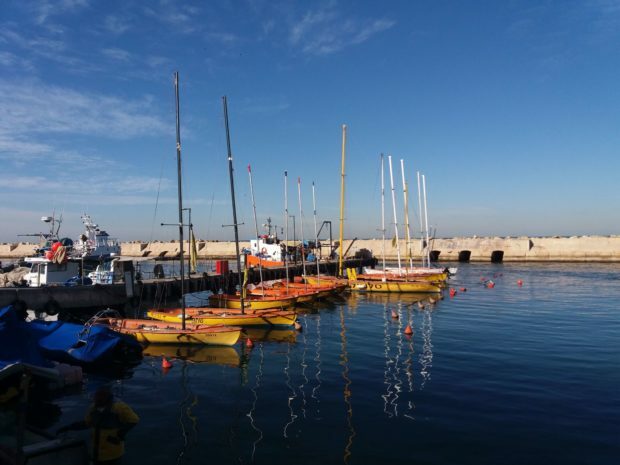 I used to work for one of the companies offering such tours, and my only criticism would be that the tours are not really free: rather, it is a tip-based tour, as the guide points out at the beginning and end of the tour. What the guide doesn’t tell you is that he or she is obliged to pay the company about $3 for each traveler that joins the tour, so if you do join, please don’t give less than $10 per person. Another great and affordable option is to download or order my booklets! 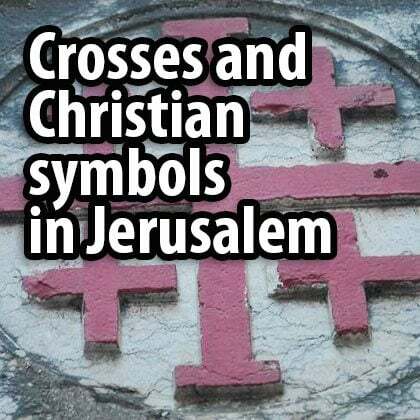 I have written three so far, about Jerusalem, Tel Aviv and the Judaean Desert. 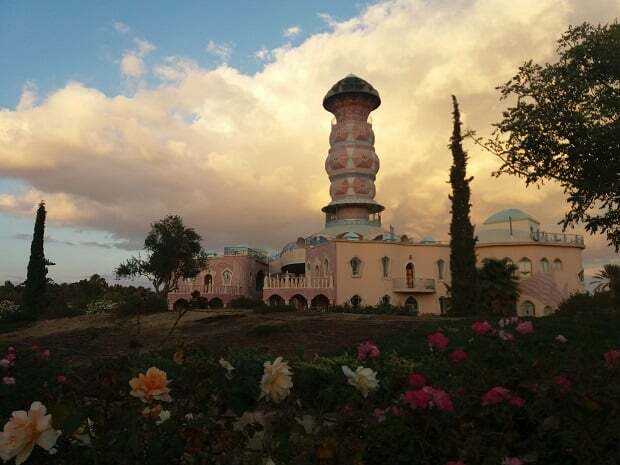 If you’re only coming for a short visit but want to see as much as possible, then Abraham tours could be a good option for you. There is no guide, but the driver explains a little bit and you can download their app complete with explanations. It’s a great app (I wrote the texts :-)). As a low-budget traveler myself, I must add that traveling is all about seeing new places and meeting people and learning about all manner of new things, and not about saving money. I meet travelers (mostly young Europeans) who take pride in how little they spend. If you want to save as much money as you can, you may as well stay at home. 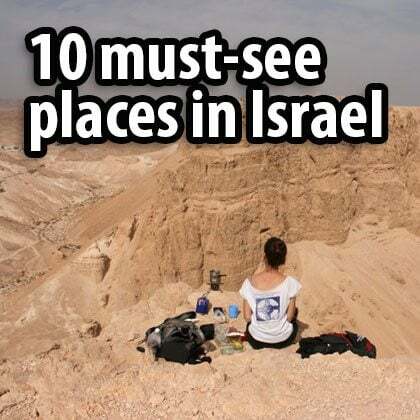 Coming to Israel and not visiting its museums and parks or taking tours would make the whole trip somewhat pointless.